Nalysynky (nah-liss-neh-key): Cheese crepes. Ukrainian food. Delicious, waist expanding Ukrainian food. Music MUST be on and playing the background to keep the cook in a festive, happy mood, because crepes are one of those things, if they go wrong (meaning over-cooked, torn, or lumpy, a mood can sour and instead of providing a family with lovely rolls of rich, savoury cheese crepes, they will get a Corning Ware dish containing something that resembles calamari tubes, noodles and cottage cheese that went through a fan at high speed. One could argue the fourth step could be split into a fifth step. My blog. My steps. Beat the eggs until light. Add milk, water and beat again. Add the salt and gradually add the flour. Beat until smooth. The batter will be very thin. To cook the crepes, I use a crepe pan loaned to me by my friend. A person could use any flat-bottomed non-stick pan, and if I wasn’t so fussy and didn’t have a friend with a crepe pan, could easily use my non-stick fry pan. Heat the pan. I use Level 4 or 5 (mediumish) on my electric stove. I spurt on some Pam spray, but if you want to be authentic, use butter. Pour two tablespoons of batter into the centre of the heated pan. 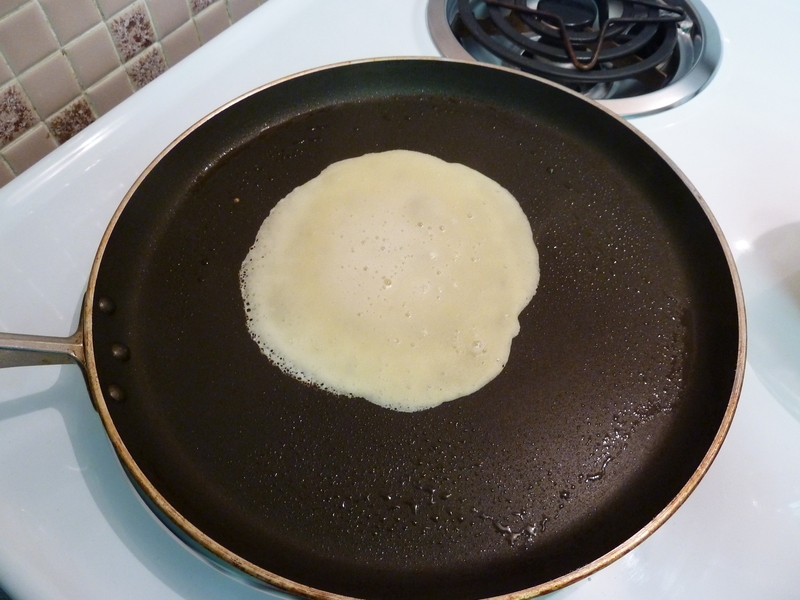 Tilt the pan to distribute batter evenly across the bottom. You want a round shape. But do not stress if they are not perfect, I had shapes that looked like the USA (not including Alaska or Hawaii), a crab nebula and a rhombus. When the crepes are ever so lightly browned on the bottom and the tops firm to the touch, they are done. Do not flip these. These aren’t pancakes. They are crepes. You don’t flip crepes. 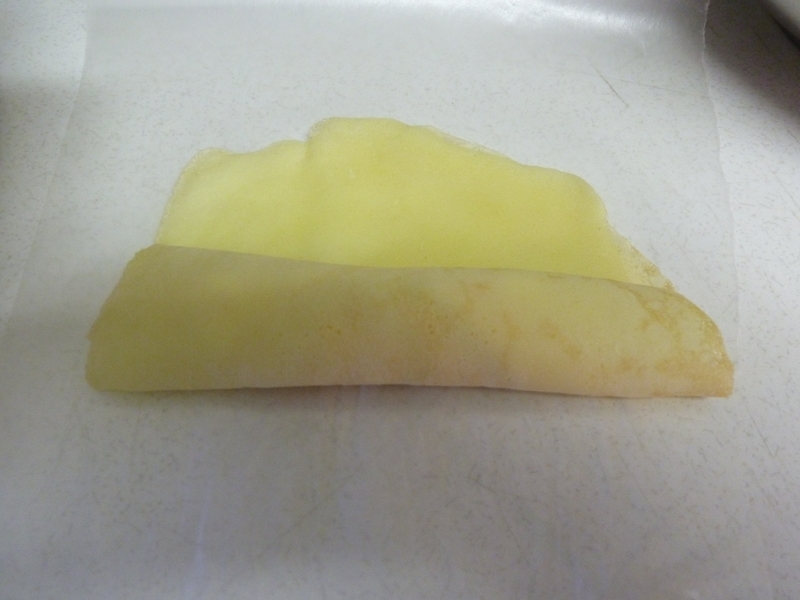 Remove the crepe and place on a plate. Layer between wax or parchment paper. Continue until all the batter is used up. You’ll be there for a while. 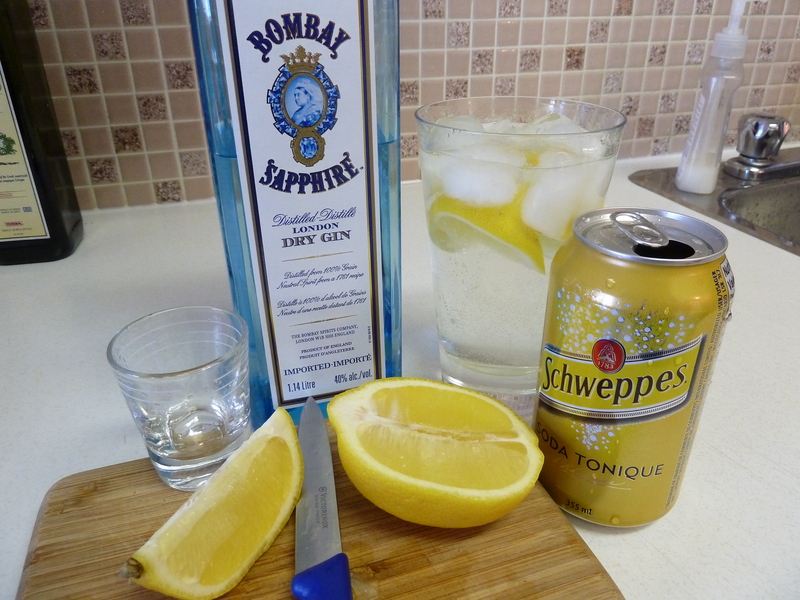 Combine all ingredients and mix until mixture is smooth. More cream may be added if cheese mixture appears to be too thick (I had to add about six tablespoons of cream). If too thin, add more cottage cheese. The paragraph above is nearly word-for-word from the original recipe. However, I don’t really know what they mean by “mix until mixture is smooth”. I used dry curd cottage cheese, and unless I beat the bajeebus out of it in a food processor or blender, I don’t think I’d ever get it smooth. So my cheese mixture looked like cottage cheese mixed with egg and whipping cream. And it tastes great, so I really don’t think we need to worry about this part. Butter bottom and sides of a casserole dish. 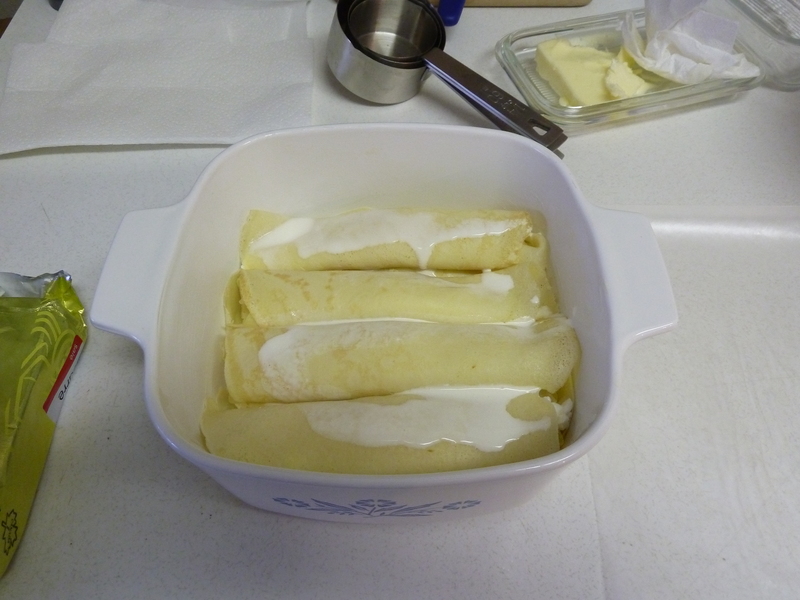 Place rolled crepes in dish. Pour a bit of cream over each layer. Just a bit, maybe a teaspoon or two, you don’t want soup. Bake. Bake at what temperature? How long? Good question. My recipe doesn’t have that sort of detail, but I don’t think you’d go wrong putting it in a 350F oven until it’s hot through. You’ll just have to watch it and see when the cream starts to bubble on the sides, or, if you don’t have much cream in there, touch it. If you go, “Ow ow ow ow”, it’s hot. If you keep repeatedly poking at it to see if it’s hot.. it’s not. Some people like to put dill in their nalysynky. We don’t, but please do if that’s your thing. You’d put it in the cheese mixture. You might make a dill sauce to pour over top. The choice is yours. If you live in Edmonton, you could skip all the above and just drive to Uncle Ed’s Ukrainian Restaurant on 118th Avenue and buy frozen nalysynky and cook it at home. Theirs is quite yummy, but, we all know there is nothing quite as delicious as homemade. No turnip puff this year? This look amazing…amazing! Thumbs up to this blog post 🙂 Happy thanksgiving! They will eat turnip puff, I had demands to make it. I shall not disappoint! Enjoy your Thanksgiving. Michael sends a loud, shouted message to you: HELLO JENNY!!! Looks mighty taste CW ! Love the “essential ingredients” music and boos ! 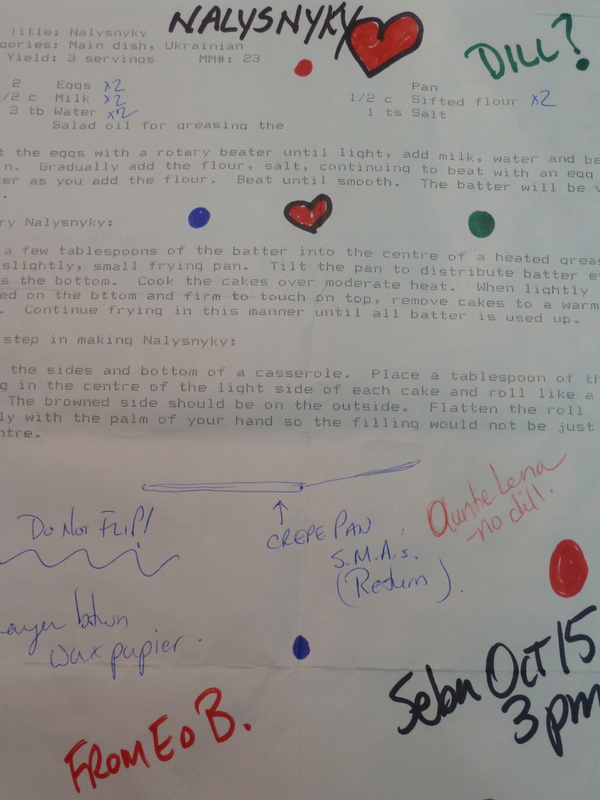 Thanks for the recipe for Nalysynky. I left all my recipes at home and embarked on a month long trip which includes family parties for a 93 year old and Thanksgiving in an Ontario kitchen that is not my own. Am planning to introduce my Wasp-ish family to good Ukrainian food for the birthday bash.